The January 10, 2010 M6.5 Gorda earthquake offshore California’s Cape Mendocino occurred within 50 km of four GPS stations in the Plate Boundary Observatory (PBO) network. Static processing of data from these sites by the PBO analysis centers and the US Geological Survey has revealed up to 1 cm of primarily eastward displacement of these sites. 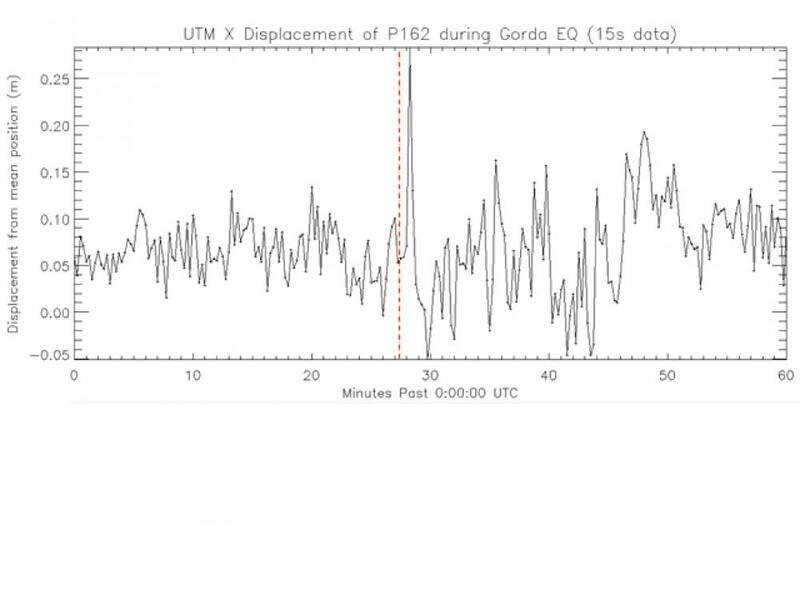 Recent kinematic processing at PBO of the native 15-second GPS data from station P162 reveals the passage of the seismic waves as a large eastward spike of ~25 cm in the position time series. 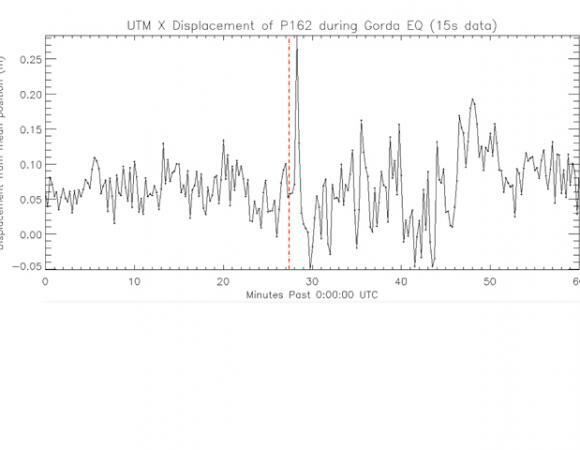 This signal represents the aliased signature of much higher-frequency seismic waves, indicating that processing of 1 Hz data from P162 would reveal much more signal structure. Due to the high level of noise in the kinematic time series, the static displacement of the site is not apparent.